For many of us Australians, to say ‘It’s Mabo, it’s the vibe’ may be more famous than the Mabo native title fight itself. 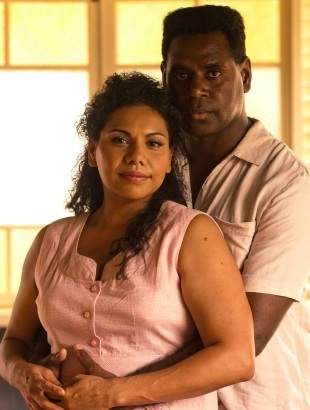 To be educated about such an historic moment for Australia is one reason it’s worth catching Rachel Perkins’ drama about Eddie Mabo which screened on ABC this week. It’s up on iView for about the next fortnight. I remember the Mabo case from when I was in primary school. I was outraged at the idea that Australia was ’empty’ before the arrival of Europeans. But, to be quite frank, I was also incredibly bored hearing about the case from week to week on BTN. One of the reasons Perkins’ film is so important is because it highlights the drama in what was essentially a long, drawn-out process. So often, historic and important decisions are fought, won and made in the tedium of courts, bureaucracy or administration over the course of many years. (The same could be said of William Wilberforce’s famous campaign against the slave trade, for example.) Thank God for the perseverance of Eddie Mabo, his family and his lawyers who continued to pursue justice in the face of repression and prejudice. And I say ‘thank God’ quite deliberately. God cares about more than each individual human’s salvation; why else would he tell us to ‘love one another’? Justice and care for others are essential parts of God’s character and ought to characterise Christians as well. This is one reason for law (along with other professions) to be a high calling for Christians, because God’s work can be done in the mind-numbing writing of policy and it can take more than one glamorous closing argument to see justice brought about. A robust theology of work takes into account the great good that can be done through the professions. For Arthur and me, it’s part of what motivates our desire to see university students in Tanzania meet Jesus at uni and work for him beyond uni: the vision of Christ renewing Tanzania through the faithful service of university graduates. But there’s much to be done here in Australia too. Australia continues to need courageous men and women who pursue justice at incredible personal cost. Of all people, it ought to be Christians who lead this charge, because our motivation comes not only from the rightness of justice but by our allegiance to the Great Advocate. I agree (of course) with your broad point, but somewhere in there lurks a difficult Christian analysis of lawyers’ ethics. But that can wait for another time (I’ll get back to you after a decade or so in the law). …All the best for your travels, I look forward to reading about your adventures!